If you’re a classic Game Boy enthusiast then you might be happy to hear about this DIY project. 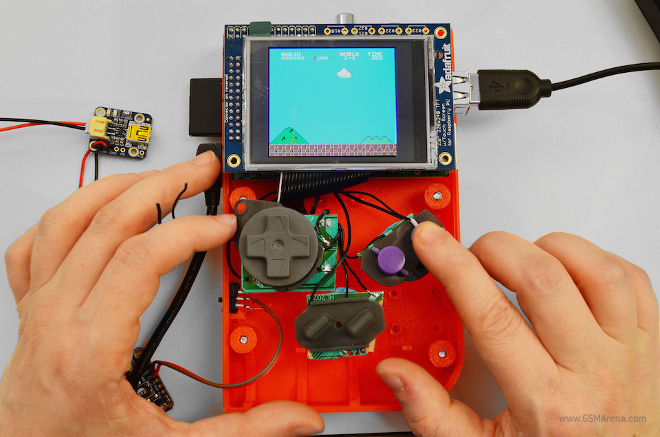 All you’ll need is a 3D printer, a Raspberry Pi, a SNES remote, and some knowledge of how to solder and work a circuit board and you’ll be able to build your own classic Game Boy! Hit the jump for more details. You’ll have to play the games off of an SD card and an emulator, and you’ll even be able to play NES games off of the device (and, technically speaking, any other emulators you can get running smoothly off of the Raspberry Pi). The 3D-print files can be found in the source link, in addition to the clearly delineated instructions on how to complete the project. Obviously this isn’t exactly legal, but since when were hackers concerned with that? Any weekend project warriors planning on building this bad boy for some nostalgic goodness? At least you won’t need to carry around a bunch of batteries with this iteration, and you can outfit it with the screen of your choice.